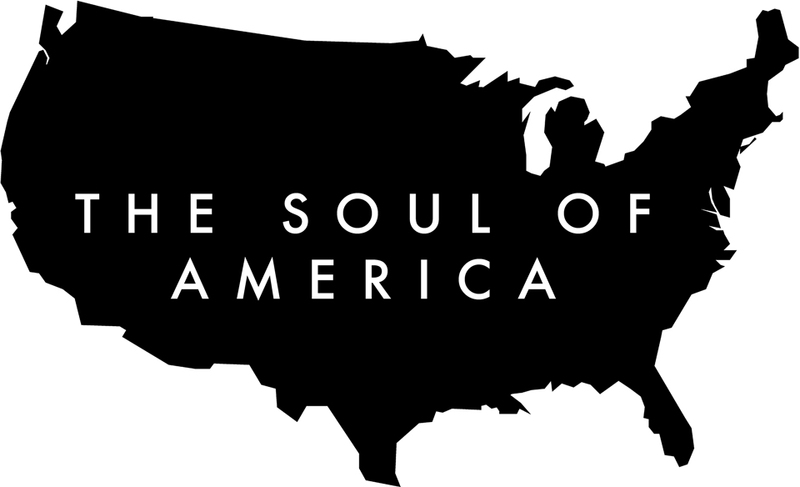 A transformational human journey to find the Soul of America. To give voice to its innermost longing. And its outermost possibility. A nation turned inwards towards what is truly important. A new definition for the fractured and troubled times. Conflict is universal. I imagine each conflict is reflective of all others. The Klamath Conflict is notorious. I imagine it will reflect shards of your world. If not more. And point to how we might live and work well together. Might we all have a part to play in the life of another? This film captures the experience of an extraordinary soul. From the holocaust to the delights of the London Underground. Meet Alison. 93. Alive. Very alive. ‘... perhaps true beauty is something that draws our attention at second glance, once the judgment of a first glance has realised it’s mistake.’ This is a film about the possibility that exists beyond judgment. Many in positions of leadership dare not take a new more conscious view of the world fully into the work place, for fear that the structure on which our organizations are built will fall. This is evidence by which you might gather the courage to do so. In the protracted and often violent Klamath Conflict over land and water there have been those who have led the difficult work towards truth and understanding. Becky is one. Her perspective relevant to all human conflict. A profound observation of disconnectedness and the pathway to interconnectedness in the violent Klamath Conflict. Relevant to all conflict. The process of vulnerability and truth is more important than one could ever imagine. This is a film about what democracy truly is. It's about inclusion. And proximity. And the full undivided attention given to another person. This is so very important. Particularly amongst a seeming intractable conflict. In the protracted Klamath Conflict in Oregon, a Farming Community Leader came to the revelation that the things that he held as fact weren't, people that he once thought of as evil and selfish were not, and that he was part of the problem. And such revelations changed everything. Perhaps with understanding, comes the falling away of judgment. And with the falling away of judgment, comes the ability to see with clarity. And with such an ability to see, comes the opportunity to share a wealth beyond measure. Living through the protracted experience of dispossession, Jeff Mitchell alongside others has seen a way through the pain of generations. Some in the Klamath Basin have a collective realization that when one truly knows another there is the vast possibility to transform everything. 'when you love life, when you love your customers, when you love your business you bring a different self to it, and effective leaders have the courage to fall in love ...' A film on free spiritedness and love in business. Might the inner condition of a leader show up in those around them? A short film often used to cause curious reflection in boardrooms far and wide. '... a fundamentalist is a person who considers whether a fact is acceptable to their faith before they explore it.' This is perhaps what so many of us do with the conversations that fill our everyday. And it raises questions. A film about the nature of curiosity starring the ever curious Seth Godin. ‘… there’s a call to action in this age for all of us to step forward as leaders. This is a time when we need to understand that we are the generations who are going to set the future.’ A bold move from Georgetown University. 'Gratitude in so many ways is so dramatically missing in the world today. Without gratitude nothing is enough.' A short film exhibiting the experience of gratitude and the possibility of its part in your life. ‘… might you have underestimated the commercial value of happiness?’ A human portrait of a re-formed CEO that might open your mind to the value of positive energy in the transformational process. I've often wondered how many leaders have faced themselves with the question ‘would I follow myself?‘ And, how many are courageous enough to follow the seemingly untrodden path of knowing themselves. Two films made originally to open conferences for a Hollywood Movement started by Jim Carrey, Eckhart Tolle and John Raatz. Addressing our responsibility and our possibility in the world. Brutally relevant for all of us. Carlos Enrique Araujo has experienced perhaps the greatest of all tragedies. Yet he chooses to see the world, and those in it, through a quite unexpected lens. Perhaps it points us to the whereabouts of true wealth. It would seem that re-imagining the fabric of any strand of our society is a challenge of consciousness. Of the way we are willing to see the whole. Then act on its behalf. A former Managing Director on Wall Street questions it all. The true influence of mentorship is so very human, and its ability to validate another is beyond powerful. Teacher or not, this film might leave you wondering if you have a part to play in the life and education of another. From the opening question ‘Would the boy you once were be inspired by the man you’ve become?’, this short film might sit uncomfortably for many. Uncomfortable and inspiring in the same breath. Having assumed that wisdom disguises itself well from the tense ambition that pervades so many organisations, I took the poetic rather than the logical path to this short piece that was to open a Leadership Conference on Wisdom. A dramatic story, pointing to a human resilience which I believe is more common than we suppose. It’s told through an uncommon depth of observation. And wonders if there is more to us than the series of events we've been through. When did you last declare what you need? When did you last speak it aloud and into the world with a knowing, a steely certainty born of the challenging and conscious work of uncovering what it is that you truly need? This film catches the vision of an organization, in a way that visions could be told. It’s almost as if it exists somewhere between the words. The film points to the possibility of conscious capitalism. Might the causes of poverty lie deeper than just physical need. And might the way out lie with our ability to see ourselves together, as the same.’ An extraordinary and humbling experience. A film about the often missed nature of poverty. One foot in front of the other. Unconscious, and unrecognisably blind. And then again. And again. Until those few steps become a habitual march to somewhere you never set out to be. Where is it that you’re going, and what on earth are you going to do when you get there? Too often organizations get in the way of their own people. Trust, or mistrust, can shape an entire culture and in doing so becomes the defining characteristic of performance. But few wonder about the true nature and possibility of trust. Scilla, a three times Nobel Peace Prize nominee, has held on to a profound question for much of her life. How can you deal with superior force without using force yourself? Might an entrepreneur simply be defined as someone who takes responsibility for outcomes? This is a film about the possibility for all of us in taking responsibility for the outcomes of our own lives. So many of us exit stage left as soon as the situation becomes uncomfortable. Let these few minutes serve as a warning to the half asleep. The half asleep at home, in relationships, at work. As the Godfather of the Coaching industry John fills these few minutes with many provocative questions. He was the fifth person to ever sit in front of my camera. In 2005. Sir John Whitmore. 1937 – 2017.